The Mendip 8 is the big brother of the Mendip 5. 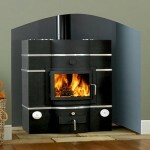 It has a large single door with smooth stainless steel turned handle and centre air control. The extra width and larger glass area give a striking presence. 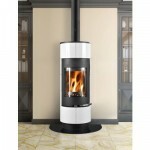 The Mendip 8’s efficient triple air system is easy to operate with adjustable secondary and primary controls. 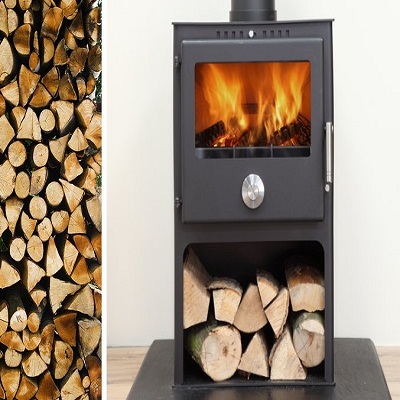 The Mendip 8 is an accomplished multi fuel stove designed for the larger room, the modern combustion chamber is fitted with full cast iron riddling grate and tough steel baffle for extended life. 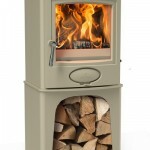 The Mendip 8 is available with or without a Pedestal.